In this Meetup, Mount Parker Ventures, a Hong Kong-based VC who has made seed investment to Shopline & GoGoVan, will share their views and thoughts on how a startup should grow, and get venture-backed in their early stages. The speakers, and also the GPs of Mount Parker Ventures, Jude O’Kelly and Sal Ismail will cover a range of topics including Market Validation, Product Validation, Pricing, Growth, Metrics, and most importantly, the various red flags that cross a startup out of VCs’ list. This is the perfect opportunity to learn from a VC. 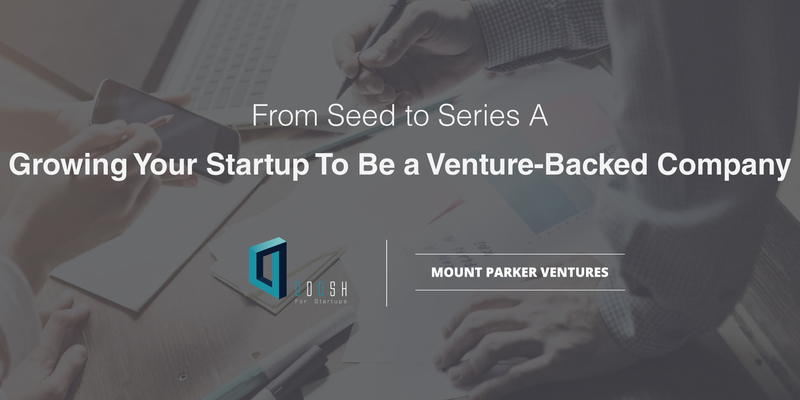 Mount Parker Ventures is a Hong Kong-based seed-stage venture capital fund that invests in seed-stage companies and works with them to become a company capable of securing Series-A funding. Jude O'Kelly is a General Partner at Mount Parker Ventures, he previously worked at PricewaterhouseCoopers and served on the first board of GoGoVan. Jude holds a Masters in Quantitative Finance, is a Chartered Accountant (ACA) and Chartered Financial Analyst (CFA). Sal Ismail is a General Partner at Mount Parker Ventures, he previously worked for Lehman Brothers and Refco as an equity derivatives trader and options market maker. He went on to start Bluebridge, an options market-making company where he also developed their risk management and pricing software. Sal holds a BA in Philosophy from the UC Berkeley.